Last year, I made these Relief Society Birthday cupcakes for the sisters I visit teach and thought I would share here. Whenever I have already spent the time to create something, I figure there is no reason not to share. It is my way of paying it forward for all those cute, free printables that I find online! 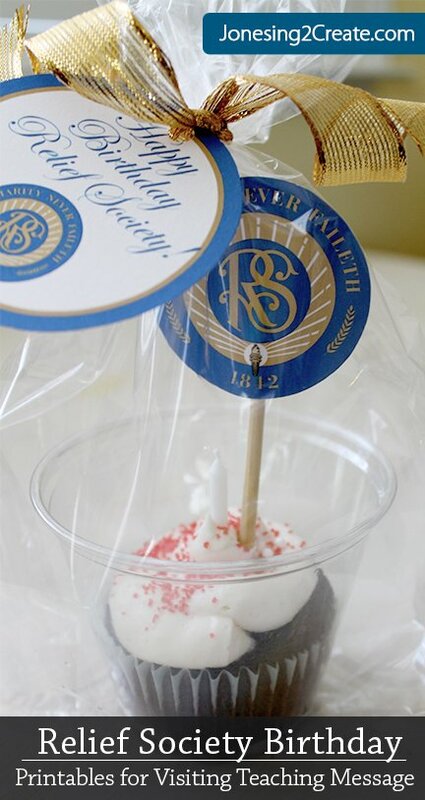 Since it was the Relief Society’s birthday this month I thought it would be fun to celebrate with a cupcake. I even included a little birthday candle. Let’s be honest, blowing out a birthday candle never gets old. These would also be perfect for a Relief Society Birthday dinner. The cupcake topper makes it easy to make a simple, easy cupcake look fabulous. So I have included everything you need here, except baking the cupcake. You are going to have to do that part yourself. But wouldn’t that be cool if you would download cupcakes online? I also did a little printable with a quote from Barbara Thompson in her talk “Now Let Us Rejoice” (General Conference, Oct 2008). 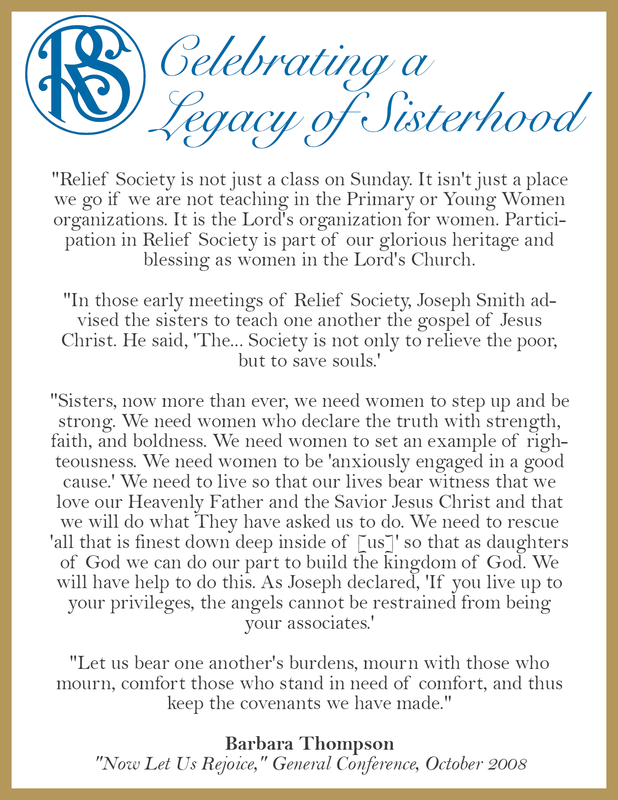 The quote really captures the scope and purpose of the Relief Society. 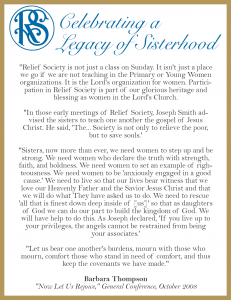 My little girl is just starting to learn about what the Relief Society is and I hope to teach her the wonderful and amazing role she has. I hope she understands the tremendous impact she can have on others. In our house we have a saying, “You are never more powerful than when you are kind.” I tell my children that those who have left a profound and lasting impact on others have done it through kindness. That we spend our lives trying to break free from the meanness and cruelty of others, but we embrace and cherish the kindness that others have shown us. And when we are kind we join forces with the most powerful person ever, our Heavenly Father, we can do miracles and change lives. When you think of the magnitude of that we can accomplish with his help, it makes any even pathetic cruelty seem small and uninspiring.